Cornwall Gravel Co. Ltd. was established in 1949. We are a family owned business that believes in quality and professional service. We have knowledgeable employees with years of experience, who take great pride in their workmanship. Looking for our sister company? 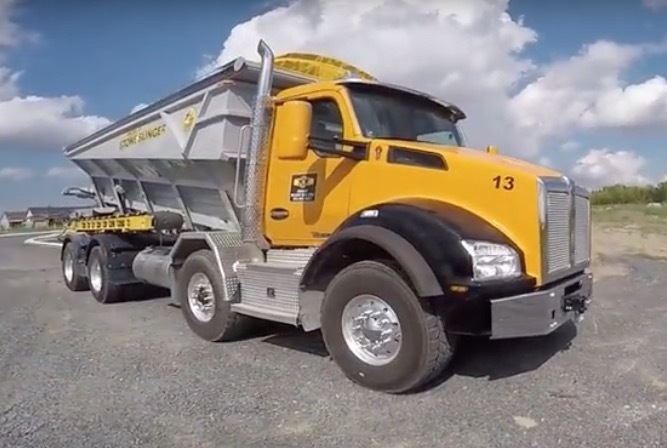 We are proudly servicing Eastern Ontario, supplying asphalt products, ready mix concrete and granular materials. We specialize in sewer and waterline installation, road construction, site work, asphalt paving, shuttle buggy rental, equipment rentals, trucking and environmental cleanup. We operate numerous quarries throughout eastern Ontario where we do our own drilling and crushing. Click to see our new Stone Slinger in action!